Degas, Pissarro, Cassatt, Renoir, Morisot, Bracquemond, Manet, Whistler&#x2015;these and other Impressionist painters often experimented with printmaking techniques, producing black and white etchings, aquatints, dry points, and color lithographs that exhibited the same easy yet subtle attraction that makes their oil paintings so beloved. 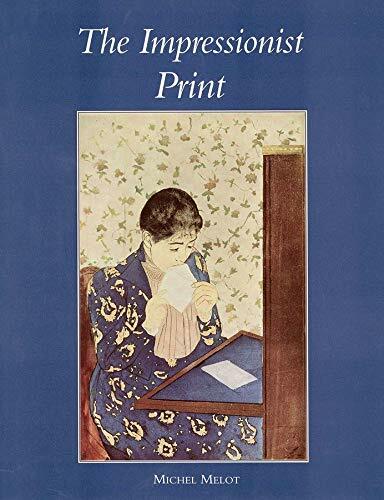 In this beautiful book, an eminent authority examines the prints of these painter-printmakers, providing a new understanding of Impressionism and of contemporary printmaking. <br /><br />Drawing on discoveries of the last two decades and on his own research, Michel Melot locates the sources and influences of the prints and analyzes their techniques&#x2015;particularly in monotypes and embossed prints. In so doing he reveals the close ties between the Impressionist movement and the rebirth of artists' prints in the second half of the nineteenth century. His analysis of the relations among artists, the art market, art criticism, collectors, and political institutions makes Impressionism appear less like a miracle and more a response to the social and economic upheavals of the nineteenth century. A print can sometimes tell us more than a painting about the history of art. Michel Melot illustrates his thesis in this book, analysing relationships between artists, the art market, the critics, collectors and political institutions. This fresh approach reveals Impressionism not as a sort of miracle, but as a response to economic and social upheaval. This original view of a key movement in the history of art allows the reader to understand its decisive effect on all the subsequent generations who have contributed to maintaining the tradition of the belle epreuve.